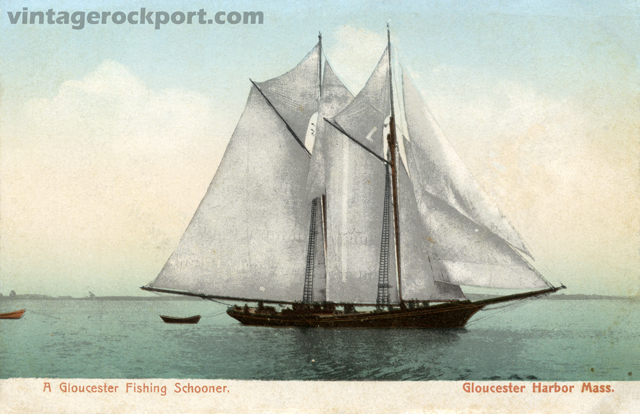 This postcard shows a two-masted fishing schooner in Gloucester Harbor. Note the schooner’s clipper bow, curving upward from the waterline, and its long bowsprit. The postcard was published by the New England News Company, which was in business from 1904 to 1924. It is an undivided back postcard, which indicates that it was published prior to 1907. It was printed in Germany.